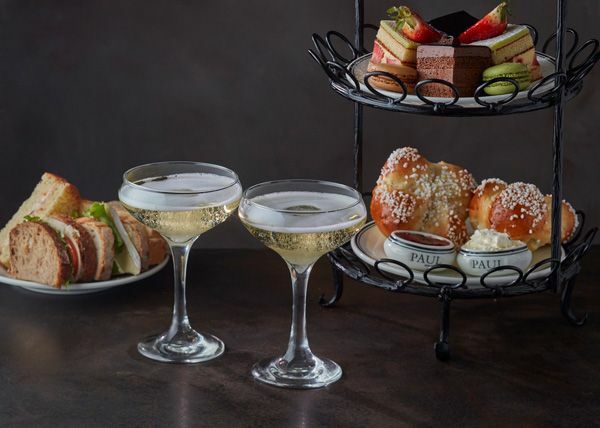 The French equivalent of the quintessentially British afternoon tea is Le Goûter, pronounced le goo tay, and at Le Restaurant de PAUL the new bottomless afternoon tea beautifully blends the best of both cultures. Available seven days a week with free-flowing, sparkling vin mousseux from Ky Procco by Alain Gayrel, this tea simply oozes savoir faire at a sensational price. For £24.95 per person, enjoy free-flowing French bubbles, delicate artisan sandwiches with fillings including Camembert and poached salmon, exquisite patisserie, jewel-like macarons and, fresh from the PAUL bakery, sweet brioche (rather than English scones) with lashing of cream and jam. Launching on 31st March at Le Restaurant de PAUL Covent Garden and, more convenient for Barbican residents on 3rd April at its sister branch at Tower 42 in the City, the bottomless afternoon tea is available for a minimum of two people sharing and is served Monday to Friday 2.30pm – 5.30pm at Tower 42 and weekends only in Covent Garden at the same times.